The women were taking part in a beauty pageant. 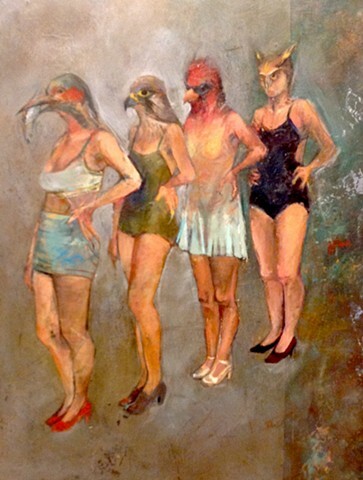 They are hybrids: part woman, part bird. They eat like birds and display their feathers in the swimsuit competition. Ironically, their heads are male, while their bodies are female. In the bird world, the men are the ones who put on a display to allure their mates.